Maradona, who led Argentina to victory in 1986, said Messi, who was again unable to emulate that feat in Russia this summer was expected to be "the saviour of the fatherland." 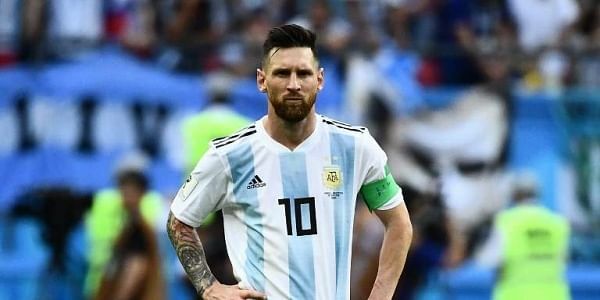 PARIS: Lionel Messi "is not a leader," said Diego Maradona of the current Argentina talisman in an interview in Mexico. "It's useless to try and make a leader out of someone who goes to the bathroom 20 times before a game," Maradona said on Fox Sports. "Before speaking to the coach and players he will be on the PlayStation. Then, on the field, he wants to be the leader," Maradona said as he answered questions in a stumbling voice, sometimes seeming to contradict himself. "He is the best in the world along with Cristiano [Ronaldo]," Maradona said. "But he's not a leader." "Let's stop making a god out of Messi. Messi is Messi for Barcelona, but playing in an Argentina shirt he is another Messi." Maradona, who is in Mexico coaching second-division Sinaloa, said that if he was Argentina coach he would "not call on Messi" before adding "never say never." "You have to take the leadership away for him to be the Messi we want him to be," Maradona said.